The results of the What Van? 2012 awards have been announced, with Fiat, Vauxhall and Citroen all taking winning top spots. Fiat are celebrating being awarded the What Van? Light Van of the Year again, after scooping the prize last year as well. 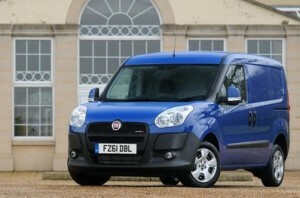 This adds to the Fiat Doblo Cargo’s titles as International Van of the Year 2011 and Fleet Van of the Year 2011. What Van? editor Paul Barker praised the Fiat’s mixture of economy, appeal, durability and driving dynamics, which made it a unanimous first choice among the judges. The Fiat Doblo Cargo range is extremely versatile, coming in eight different designs, which cover a huge range of needs and uses. The range has a choice of four engines, one petrol 1.4 (95bhp) litre option, and three diesels, at 1.3 (90bhp), 1.6 (105bhp) and 2.0 (135bhp) litres. All the engines measure up to either Euro 4 or 5 guidelines, and all Euro 5 engines have Start & Stop technology. This offers up to a 15% saving on fuel efficiency with CO2 emissions of only 126 grams per kilometre. According to Paul Baker the decisive factor that pushed the What Van? 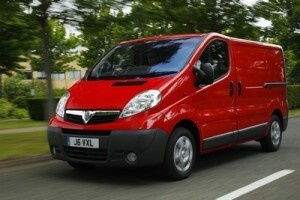 Small Van of the Year award in the favour of the Vauxhall Corsavan is its enviably low CO2 emissions. The Vauxhall Corsavan tops any other vehicles in its class, with emissions standing at just 95g/km. This is thanks to its brand new Euro 5-standard 1.3 (95PS) turbo diesel engine with Stop & Start technology. This adds to the van’s appealing functionality and design. Vauxhall’s second award celebrates the achievement of their ecoFLEX range. The Luton-based manufacturer introduced an eco-model across their entire van portfolio, including Corsavan, Astravan, Combo, Vivaro and Movano. The first scheme of its kind in the commercial vehicle industry, the ecoFLEX range make it easy to see which are the most efficient vans, saving money for businesses while improving their environmental impact. Citroen’s Business Class programme took the Innovation award. Paul Barker singled out the company’s commitment to improving customer service standards for light commercial vehicle users as particularly noteworthy. As part of this service Citroen LCV customers receive highly professional sales and aftersales support through a network of 90 Citroen Business Centres. Business Class offers customers a wide range of Citroen vans, with Euro 5-compliant engines and a unique package of technology that gives improved fuel efficiency, safety and running costs, while also reducing driver stress. If you’re interested in buying or leasing a new vehicle contact our sales team. Alternatively, visit our website where you will find new and used cars and vans available for sale or on finance.